Karin brings a wealth of corporate experience to our clinic, and coupled with an exceptionally friendly nature makes the perfect addition to our team. Karin joined us in 2018 and has quickly made herself well known to all of our patients here. Having moved to Australia from South Africa several years ago, she hasn’t let go of her love for the South African cricket or rugby teams just yet, although we’re working on it. While living in South Africa she worked in a number of varied administrative & management roles in the corporate world. 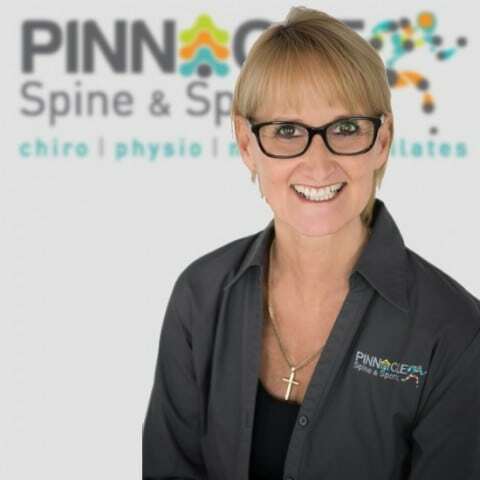 She also holds a degree in Human Movement Sciences majoring in biokinetics, kinesiology and psychology, so her skill set is the perfect fit for our clinic! We have loved getting to know Karin since her commencement here at Pinnacle, and we know that you will love getting to know her too.